"As our district changes, we’re addressing increasing congestion, garbage and crime. " Last week, WW wrote about a plan by the Central Eastside Industrial Council to fund private security guards to patrol areas heavily populated by the homeless ("Security Details," WW, Jan. 9, 2019). The proposal goes before the City Council on Jan. 30. Homeless advocacy groups say safe camping sites and parking lots and better access to support services are better solutions. Here's what readers had to say. Last week, Willamette Week reduced Central Eastside's two-year effort to create an enhanced services district to a "traditional response" solely characterized by hiring security guards ["Security Details," WW, Jan. 9, 2019]. We are disappointed by this and other mischaracterizations of our work serving our community and intentions in forming an ESD. For 40 years, the Central Eastside Industrial Council has supported this district, which contains 1,300 businesses and provides 20,000 jobs. We are a diverse community of creatives, makers and manufacturers who value innovation and collaboration. As our district changes, we're addressing increasing congestion, garbage and crime. In addition, we are doing our part to solve Portland's four-year, citywide housing emergency. By creating an ESD, Central Eastside businesses are choosing to impose a fee upon themselves to ensure our district and our city remain vibrant, prosperous and equitable. A community innovation fund will award annual grants to organizations providing job programs or services that support the ESD's goals, including serving our most vulnerable. Our partnership with Central City Concern's Clean Start Program, a job-training program for houseless individuals, and three annual volunteer cleanups, which removed 80 tons of trash in 2018. The mental health crisis training our security professionals receive and the hundreds of blankets, sleeping bags and winter coats they donated to our district's most vulnerable. The 30-person committee of stakeholders (property owners, nonprofit leaders, social service providers, residents and government agencies) we convened to provide oversight of our security pilot project. The values that drive our work—collaboration, innovation, responsiveness, transparency and equity—and the commitment we have to finding solutions to Portland's housing crisis. We hope this clarifies our approach to creating an ESD that enhances Central Eastside. 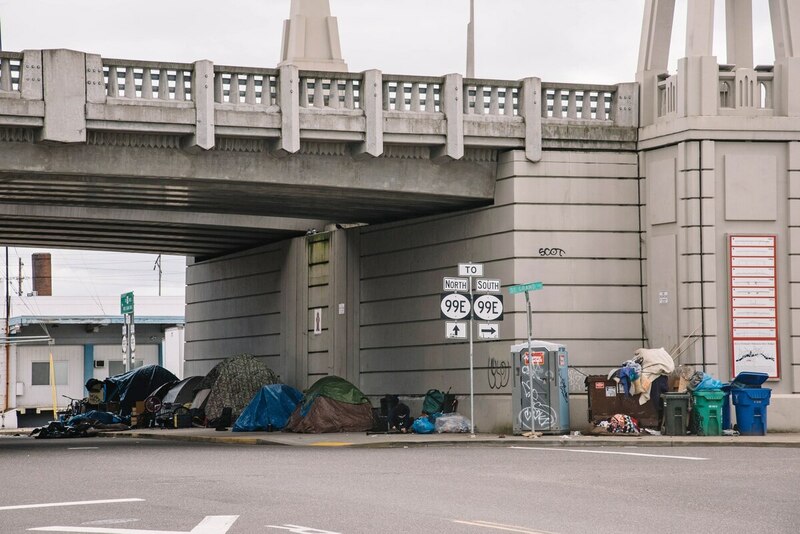 — Randy Miller| Produce Row Property Management Co.
OregonJelly, via wweek.com: "If anyone is being punished, it is the taxpaying residents who are sacrificing clean streets, good schools, public parks and other social goods because the city has chosen to attract and subsidize the broken." PDXPolicyWonk, via wweek.com: "This is the stuff inequitable cities do, ones who won't address basics with public safety and their police bureaus to begin with, just like the city of Portland is doing.